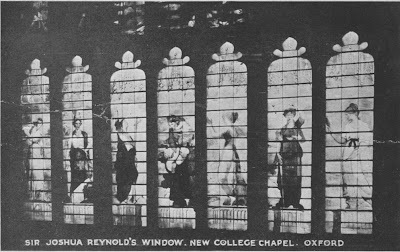 This postcard was posted in 1922, and Published by The Oxford Times Co, Ltd., Oxford. The view is of the seven cardinal Virtues painted in 1787 from designs by Sir Joshua Reynolds. 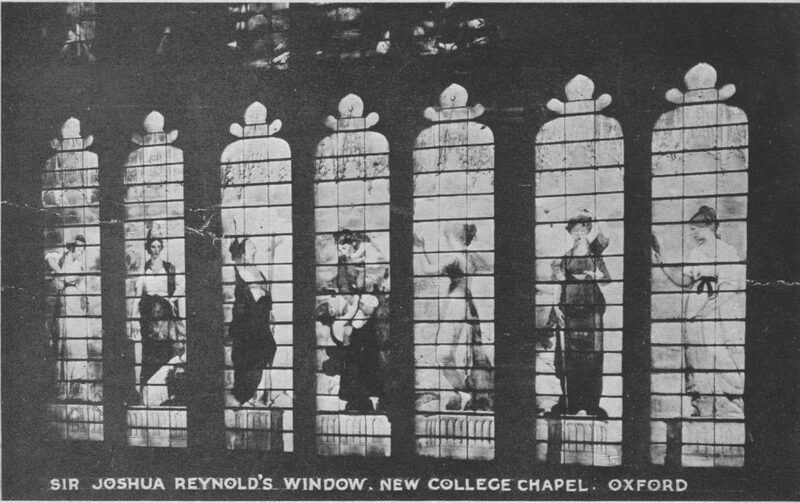 It comprises one of the windows at New College Chapel.